Us humans are very particular about where we get our food from, what they are made out of, and we give extra brownie points to restaurants who would deliver meals directly to our doorstep. But what about our doggie friends who also need good food to stay healthy? Chui Shia, a former consumer and trade marketing researcher had this same question in mind when she first sought dog food brand comparisons and reviews online about 7 years ago. She discovered that plenty of pet food are recalled in the States, which is something that is unheard of in Malaysia. Her research online also led her to read about the benefits of a home-cooked diet or raw diet for dogs, and homemade treats for pets. 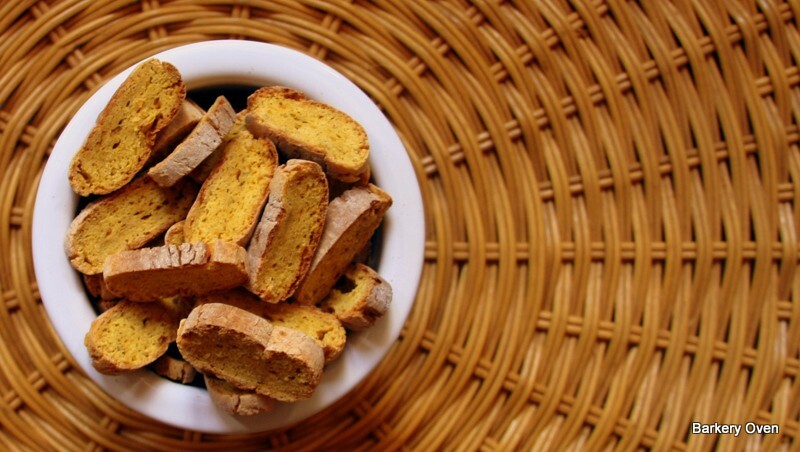 In fact, it seemed that these homemade treats are baked in gourmet pet bakeries in the States. 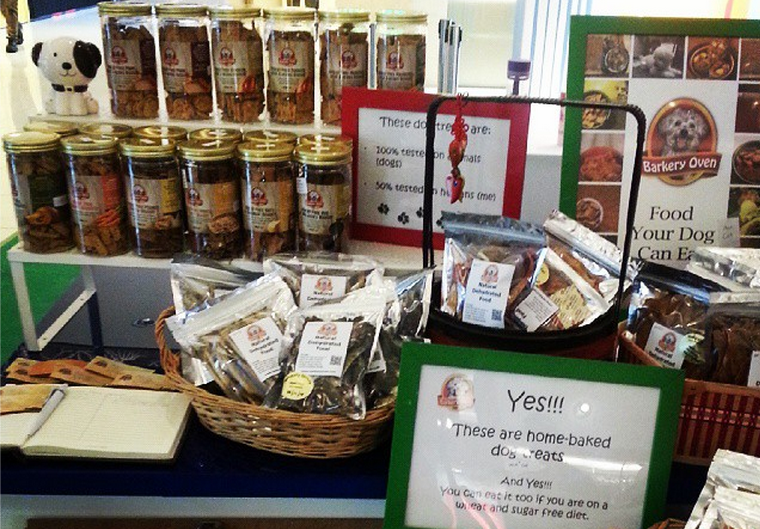 This interest then turned into a part-time hobby for Chui Shia, and she founded Barkery Oven in 2007. 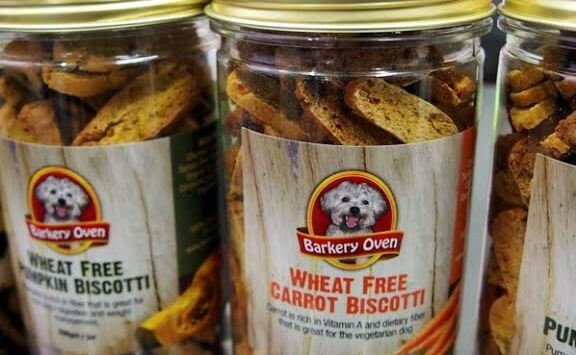 Barkery Oven is a dog bakery which specialises in home-made dog treats that are wheat-free, pet-friendly, nutritious, and completely fresh. It aims to provide an alternative for dogs that have weaker digestive systems or lower immune systems, and are more susceptible to various skin allergies. Ordered goodies are delivered to your homes so your furkids get to enjoy their treats without any hassle. Things were all not smooth sailing in the beginning. Even in the journey of entrepreneurship, rookie mistakes are bound to happen. “When I started experimenting with recipes and trying it on my boy (at that time, Mochi was my first dog), I noticed that he became started showing symptoms of an allergic reaction. So I did some searching online and also chatted with the vet and groomer and deduced that Mochi was allergic to wheat products. 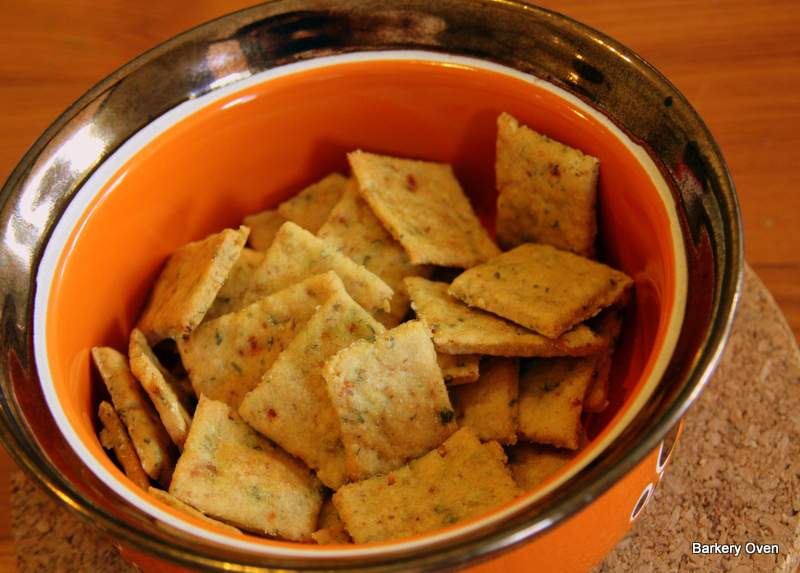 I was experimenting with wheat flour then,” recalled Chui Shia. She then dove deep into research on dog allergies and the right diet for dogs. She discovered that carbohydrates and starchy foods are a general no no for dogs. Unfortunately, the sad truth is that most dog food manufacturers use the cheapest grade of carbs left over of human food production in order to lower the cost of production. “It is these cheap ingredients over the years that has created many breeds with genetic skin problems and allergies,” Chui Shia explained. 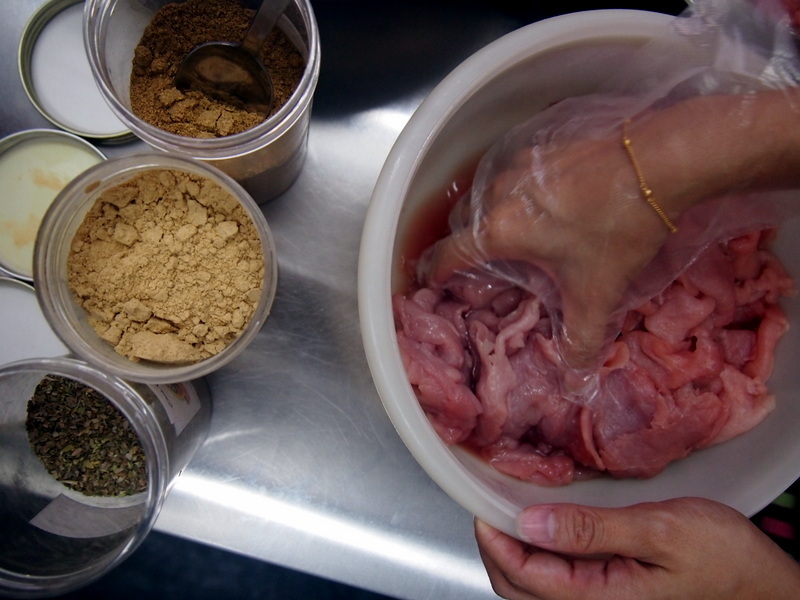 With her new found knowledge of appropriate diet and nutrition for dogs, Chui Shia went all out to implement that in her current business of baking home-made dog treats. 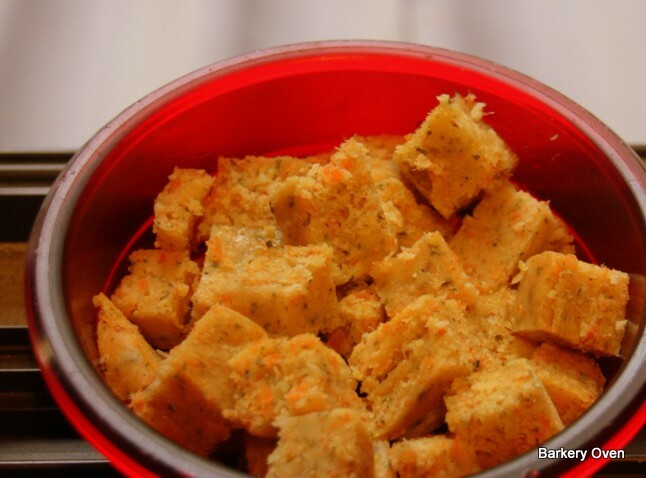 “At Barkery Oven, we made the executive decision to create wheat-free, gluten-free treats. Now, we even have a grain-free range (our dehydrated range of treats). We are adamant that our treats are made without any preservatives, sugar, salt nor any artificial flavours or colouring. We believe in creating treats for dogs that are healthy, nutritious and unpretentious,” Chui Shia stated firmly in an email interview with Vulcan Post. Chui Shia first started to market Barkery Oven products via a friend’s pet salon and this went well for about a year; however, the owner later decided to sell the business and the new owners already had their own pet treats baker in mind. Eventually, Barkery Oven had to take a year break since Chui Shia was also moving into a new house. Despite the setback, this was not the end of her dream. Even with the decision to stop her family’s personal business due to certain industry problems, Chui Shia saw the silver lining and used that to her advantage to go full throttle with Barkery Oven. “Today, Barkery Oven treats can be found in two pet salons and a pet friendly café whilst still actively participating in weekend markets,” she added. How do new recipes come about with such interesting ingredients? And how can we be sure that it’s safe for our furkids’ consumption? This is one area that you need not worry about because if there is one thing that Chui Shia puts her energy and emphasis on, it’s the freshness and quality of ingredients. “We do not take any shortcuts in our baking and we make most of our ingredients ourselves to ensure it is not contaminated with sugar/salt/wheat. A good example is the peanut butter for our peanut butter biscuit. 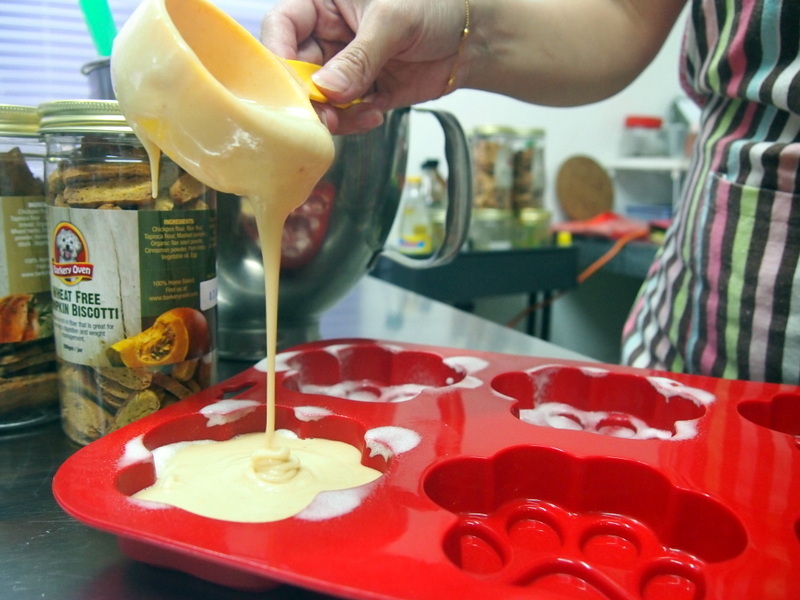 We make our own peanut butter to ensure the peanut butter is free from preservatives, salt and sugar,” explained Chui Shia. Most of the treats are adapted from recipes meant for human consumption and some are adapted from doggy cookbooks. Chui Shia will take a recipe and then think about how she can adapt it to be pet-friendly. For example, she has been testing several recipes for donuts that can be baked instead of fried, and made without any sugar or wheat products. This is particularly helpful for dog owners who like to give table scraps to their furkids because dogs just know how to use those puppy-dog eyes to beg for food at the table during meals. Instead of giving table scraps to your dog, a better alternative would be to give them ‘human food’ that is already made safe and nutritious! 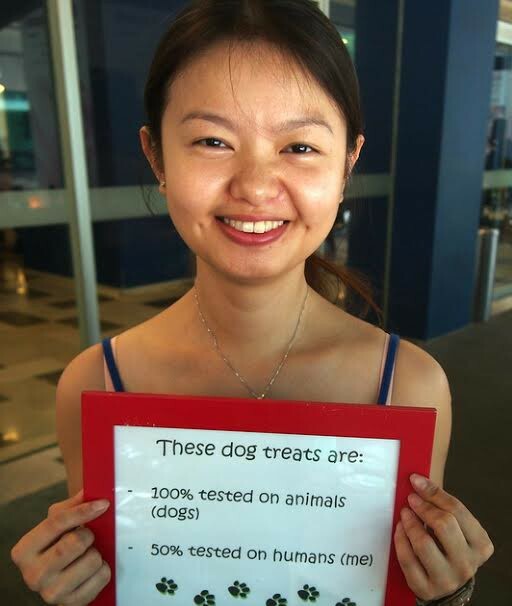 In terms of whether the treats are made safe for consumption, Chui Shia uses her own furkids and her friends’ dogs as testers. She also ropes in some of her regular customers to test her products and obtain feedback from them. “In terms of safety, it is very important that a pet treats baker knows and understands what a dog or cat can and cannot eat. For example, did you know that macadamia nuts are toxic to dogs? Or that carob is a safe alternative to chocolate that a dog can consume? Once we understand that, it’s just a matter of individual taste. Some dogs love cheese and some dogs hate it,” she explained. As if that isn’t enough, Chui Shia shows her dedication in her products by taste-testing them herself! Though I’m not too surprised myself because these treats do look mighty yummy, I wouldn’t blame her for wanting to try them herself. On top of that, there are no preservatives, salt, or sugar used during the baking process and treats are baked fresh to order instead of stockpiling products to ensure the maximum freshness of the treats. It looks like all those hard work has paid off because one quick look at Barkery Oven’s Facebook page would show that they have plenty of happy and satisfied customers (and dogs!). Although she does not have a personal vet consultant to test the treats, she brings her dogs to the vet for regular checkups to make sure that they get a nutritionally balanced diet. Chui Shia readily admits that in her business, the biggest obstruction is herself. “I am quite conservative and can be slow in making necessary changes which has resulted in loss of sales. Also, I have delegation issues. I find it hard to let others help me which is not very efficient when I’m planning to expand the business. So it took a lot of tears, frustration and will power to be where I am today,” she revealed honestly to Vulcan Post. Currently, Barkery Oven runs more smoothly with the extra pairs of hands helping her. “I have a helper that helps me with the baking and a helper that helps me with errands and deliveries. Thanks to them, I finally have time to think about things like improving operation flow, new marketing methods, new products and most importantly, new recipes,” she said. It is disappointing to know that although there are many dog lovers, not all of them are aware of the importance of a balanced diet and the ingredients that are harmful to dogs. “My challenge right now, is finding ways to reach out to more people. I want to create awareness to dog owners that diet is the main culprit for allergies in their beloved pets. So many pet owners have no idea what their pet needs in terms of nutrition. I, for one, am in agreement with her on this because it was only late last year that I was exposed to the benefits of a grain-free, wheat-free and gluten-free diet for my furkid and ever since changing her diet, I’ve noticed that she has a healthier coat of fur and her skin no longer itches. It all comes down to this: if we love our pets like they are family, then they should be fed like family – with only the best for their health. 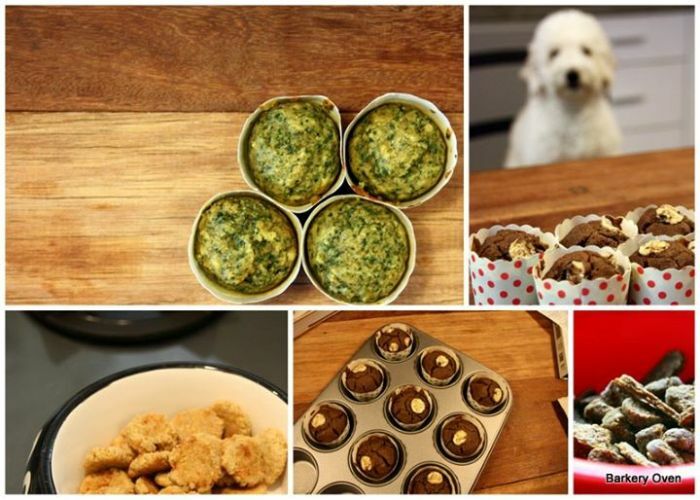 If you want to try some of these healthy treats for your furkids, you can make an order on the Barkery Oven website and it will be delivered to you (price varies according to location). Or you can visit them directly at bazaars around Klang Valley, check out their Facebook page for more details on their next location.